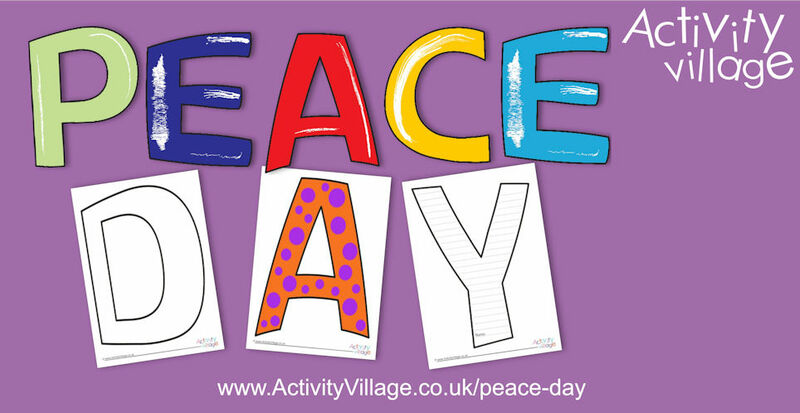 We started by making some outline letters with ruled lines for Peace Day, with the idea that children could write their own "peace" messages, each on their own letter, perhaps colour in the background lightly, and then together spell out PEACE DAY. Then we went on to make some simple outlines (use as templates for coloured paper or card, perhaps, or write your message with colourful writing within the outlines), colourful coloured letters, and brightly patterned letters too. Take your pick.